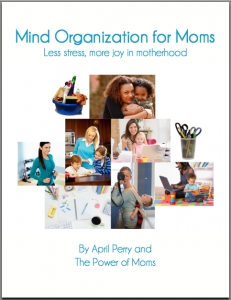 The wonderful women at the Power of Moms has given me the opportunity to turn my sporadic disorganized ways around and they have generously provided a few copy of their program Mind Organization for one of my visitors. Why not have that be you?!?! Let's face it: embracing the chaos is not (I repeat NOT) a good long term plan. Especially if you want to make sure you make it to all of the birthday parties, sporting events, doctor appointments, plus pay your bills on time. I could go on about the many things that seem to 'pop-up' and humble me to the point of getting a nauseas feeling that happens after I discover that we missed yet another appointment or activity. I could go on and on about the tolls my chronic disorganization has taken upon my family. Let's just say that I do not think my organization skills will not put me up for mother of the year award any time soon. Although my love of laughter and adventure and learning may land me a spot on a favorable mention! I have always been goal driven when it comes to work and my own academic pursuits but I never really wrapped my head around the fact that household management should be given a good dose of effort as well. I think where it all falls apart for me is that household management involves the every day so it seems like there is a never ending list of stuff to content with. 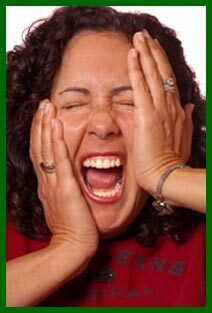 The Mind Organization Program provides a way to manage the never ending activities of household and family management. Personally, I have begun the program and have already been able to get it together enough to conduct a yard sale and make some $ but more valuable is the space I created in my kids' playroom and my storage rack! I wish I would have taken before and after pics, but maybe these after pics my peak your interest. Post a Comment for Each Entry! Please include links to blogs, facebook, or twitter. Giveaway will end on July 21st.